The hosts are the only undefeated team in the Top 16 so far and this means they carry a 4-0 record into this game. 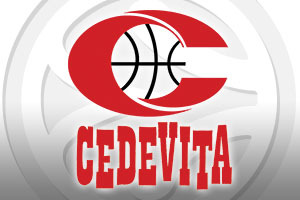 However, Cedevita are making their third trip to Istanbul this season and they have triumphed on their last two occasions, so this game has the potential to be a cracking match between two teams on good form. When you have a 100% record, you’re clearly in good form but it also means that every team wants your scalp. This means that Fenerbahce should be looking to maintain the high standards that they have set for themselves this season. They lead the Top 16 with respect to the Performance Index Rating, 108.8 per game and in scoring, with an average of 90.3 points per game. Add in the fact that the hosts lead the way with respect to rebounding and blocked shots and you realise that this is a team that has worked hard to be unbeaten in the Top 16 so far. The away side comes into this game with a 4-3 record away from home, but they know that they face a home team who are in great form. Marko Arapovic may be young, but there will be a great deal of responsibility on his shoulder’s for this game. If he can stop the key players for the Turkish side, the away team may get another result to boost their growing reputation. Wins over Anadolu Efes and Darussafaka Dogus means that Cedevita are more than comfortable in playing in Istanbul and they will be fully focused on silencing a noisy crowd once again this week in what is likely to be one of the most engrossing Top 16 encounters. 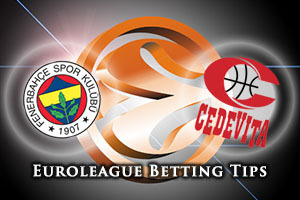 The bookmakers don’t think that the away team will make it three wins in Istanbul this week but you may find interest in backing Cedevita Zagreb at +12.5, which you can find at odds of 1.90 With respect to the Over/Under market, look to go OVER 155.5, available at odds of 1.90. Bet Now!